Hashtag #ColoradoLive on Twitter, Yonder, Facebook and Instagram during the month of February for a chance to win a trip to Boulder! 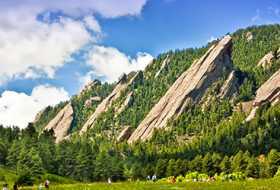 See the best of Boulder during your two-night stay surrounded by natural beauty and hip, urban culture. 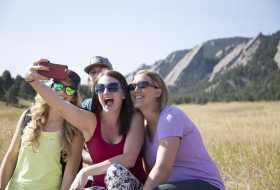 Experience the Boulder lifestyle in the great outdoors and refuel in America’s Foodiest Town while checking off some items on your Colorado bucket list. Ski like a local with a full-day lift ticket (for two people) at Eldora Mountain Resort just a 30-minute drive up scenic Boulder Canyon. Head out on a half-day snowshoe excursion for two in the majestic Rocky Mountains with a professional guide from Colorado Wilderness Rides and Guides. 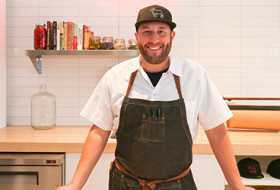 Linger over a spectacular dinner cooked by the winner of Top Chef Season 5, Hosea Rosenberg. You’ll be talking about your dinner at his restaurant, Blackbelly Market, for a long time. Package includes a $150 gift card. Shop and eat to your heart&apos;s content under a canopy of twinkling trees with a $200 gift card in charming Downtown Boulder. 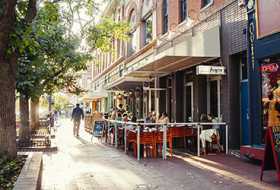 Enjoy a cozy two-night stay at the historic Hotel Boulderado, only one block off of Pearl Street in downtown Boulder. 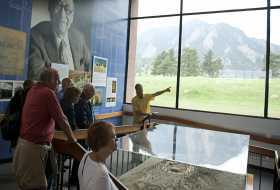 Find more contest details on Colorado.com.